Thomas scores 20 in the fourth quarter as Celts drop Wiz, 117-108. Isaiah Thomas drops 20 in the fourth quarter (38 for the game) as the Celtics outlast an exhausted Wizards team, 117-108. Four Wizards starters scored in double figures led by Bradley Beal with 35 points. Otto Porter scored 20 points tonight while John Wall got his rebounds and assists but had a tough time putting the ball in the basket with just nine points on 4-21 shooting. The Celtics were red hot to start this game shooting 72 percent from the field and 8-11 from three-point range in the first quarter. You’d think they’d be blowing the Wizards out right? Nope. That’s because the Wizards forced six turnovers in the period to go along with Bradley Beal’s 16 points. The Celtics cooled off in the second quarter where they shot 1-8 from three-point range. Otto Porter and the frontcourt kept the Wizards afloat during the second quarter. Porter was 6-6 from the field with 13 first-half points as the Wizards build out a 59-55 halftime lead. Both teams were scorching hot to start the second half connecting on their first four field goals. The Wizards used an 11-3 run late in the third quarter to build a 10-point lead but the Celtics came roaring back with an 8-0 run of their own. Just like in the third quarter, the teams took turns alternating extended leads in the fourth quarter. Isaiah Thomas came alive with 20 fourth quarter points including two key three-pointers late as the Wizards just didn’t have the legs for a comeback, fall 117-108. 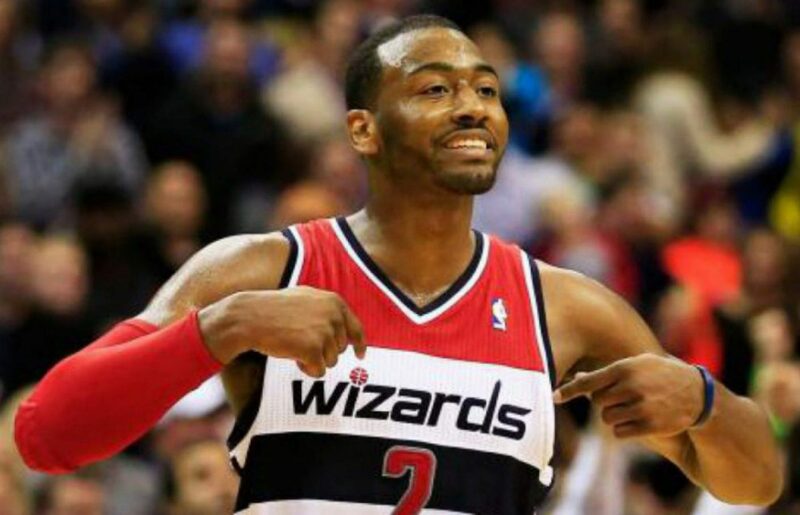 John Wall played 40 minutes against the Bulls only to play 38 minutes tonight against the Celtics. Wall looked gassed and it was apparent in the second half. He was tired of chasing Thomas around and Thomas made him pay. Thomas scored 38 points including 5-11 from three-point range with three coming in the fourth quarter. Thomas got in the lane, got to the line, and burned the Wizards from deep. Washington had no answer. Jason Smith had another good game tonight with 13 points and five rebounds off the bench. The veteran even posterized Gerald Green to start the fourth quarter. After a very rocky first half to the season, Smith has come into his own and continues to string together some nice performances. Porter ended the night with 20 points, six rebounds, and five assists. Porter connected on his first seven shots and didn’t miss until the third quarter. It’s nights like tonight when you almost forget that Porter is out there yet he fills up the stat sheet. Previous postWizards top Bucks, get back to .500.